The Montgomery YMCA Soccer Branch located at the Emory Folmar YMCA Soccer Complex. 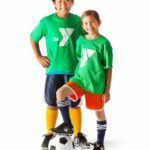 The YMCA Recreational Soccer program is designed to meet each players’ needs at their current level of play and provide opportunities to increase their individual skills. The goal is that these opportunities lead to an overall enjoyment of the game for years to come. Through participation in practices and games, players learn sportsmanship, how to work as a team and also build quality relationships with players and coaches in the program. 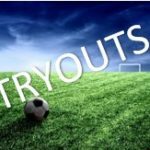 Recreational Youth Soccer programs are offered all-year round, with 2 Indoor Sessions (Summer, Winter), and 2 Outdoor Sessions (Spring, Fall). 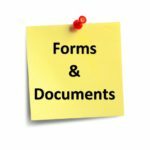 Adult Recreational Soccer is also offered on a year-round basis. One of the goals of the Montgomery YMCA is to provide healthy choices to encourage people of all ages to participate in a variety of activities. The league is set-up for competitive play with four divisions (Elite, Competitive, Over-30 and Co-Ed), but the overall goal is enjoyable participation for all. The main emphasis of the league is the recreational elements including the fun, enjoyment, good sportsmanship, and friendships that are developed. We build strong kids, strong families, strong communities. Teams will be Co-Ed. Youth participants will enjoy playing soccer in a fun, safe, and developmentally appropriate environment. Teams will be divided based on age (3-4 years old)(5-6 years old). This is an introductory program for young kids to see the game and have fun doing it. We will be using US Soccer grassroots approach to give the players the most enjoyable experience possible. The focus will be very individualized skills, enjoyment for the game, small numbers and maximum amount of touches on the ball. Practices will focus on ball familiarity through games and enjoyable activities for players to improve confidence with the soccer ball AND basic movement skills without the soccer ball. 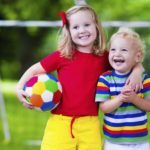 The YMCA Recreational Outdoor Soccer Program is for boys and girls 7 to 17 years of age, who wish to play recreational level soccer. divisions will be split between two age groups up until age 12 and then we will have high school division from 13+ (Based on numbers we have in the season. This can change). Teams are coached by volunteer parent coaches. They will have official practices before the season begins and play a 7-8 game schedule. After the regular season the teams will play a single elimination post-season tournament. We are transitioning step by step to the US Soccer Player Development initiative that is to benefit the players in a progressive manor. This is meant to give players the best opportunity to succeed, enjoy the game and develop. Focusing on more individualized skill development and more touches on the soccer ball. This means playing smaller sided games and having the opportunity to have more space to succeed for their future development. We will also have skill sessions throughout the year to introduce new topics and skills for players to practice at home. Our goal at the YMCA is to develop players skills so that they are set up to play at their preferred level of competition. This could mean being a recreational player seasonal, year-round or to try our competitive program through the capital city streaks. Find us on Facebook to stay up to date on latest news.